Samsung along with its Note 5 smartphone launched a Samsung Gear VR device in the month of January. The device which is there in the Indian market for quite a while has been mainly designed to increase the multimedia experience of a customer. This device which is fancied by many is good, but there is a lot of improvement that can be done in the same. Let’s go a little deeper and see what this device has to offer. 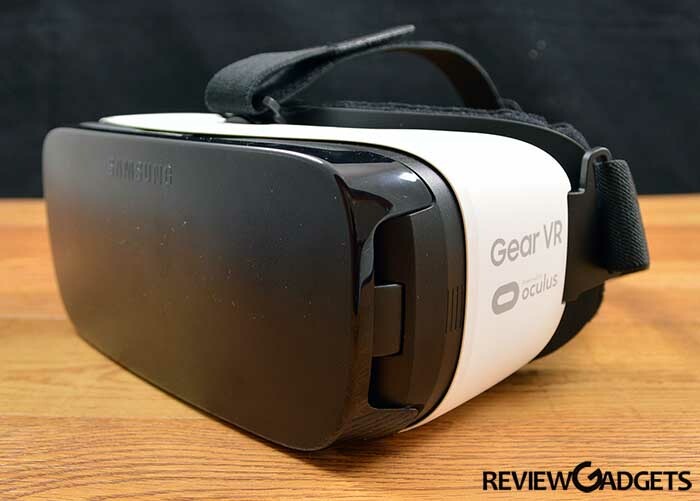 What is Samsung Gear VR? For those of you who hadn’t had the opportunity of experiencing this device, it is a virtual reality device developed by the joint efforts of Samsung, Facebook and Oculus VR. The Samsung Gear VR is a simple device that can be utilised with your mobile phones in contrast to the expensive VR devices available in market. This device which is available at one-tenth of the price of other VR devices in market doesn’t offer you as much VR experience as you would expect, but is pretty good in giving you a glimpse of the same. For a moment you might think that Samsung Gear VR is similar to Google cardboard, yes it is in some aspects; however it is also different in many. Google cardboard devices are built to support every type of handset; however Samsung has limited the functioning of their Gear VR headset only on few Samsung phone. The advantage of this being, Samsung has to develop hardware functionality only for a few phones as compared to Google which will have to focus on each type of customers. Also, this phone has far greater number of features than any Google cardboard device. One being that this device consists of its own sensors as compared to the cardboard devices which rely on the phone’s sensor. It offers a steadier experience and the view doesn’t suddenly change as seen in cardboard devices. Also, this gadget is very responsive, and as soon as you connect it to your Smartphone, the Android UI is changed into Oculus UI, and you have all the VR options available in front of you to use from. Whereas in the case of the cardboard devices, you rapidly have to switch in between of your home screen and VR screen in order to change modes. Talking about the design of this device, it has some built-in controls to offer you many features. It comes with straps and Bluetooth connector to offer you a hands-free experience and thereby giving a sense of immersion. This Gear VR has a dial that allows you to adjust focus, therefore you may not require your glasses while viewing through this device. However, this device has just as much space to fit in your glasses, we would recommend it using without them. If we talk more about the design, the gadget looks more like Ski glass and covers almost your complete face. It has foam on the sides to make this gadget comfortable to wear. The lining on the portion of the nose makes it comfortable to wear for some time; however you will eventually take it off after a couple of hours either due to battery discharge or disorientation. The device which comes in white color has a chance of picking up stains rather quickly, and the foam may start to smell due to sweat. To avoid this, you can utilize this device in an air conditioned room. Talking about the weight of the gadget it weighs around 380 grams and approx 150 grams are added because of the phone attached. This may sound a lot of weight but is easily balanced, thanks to the two straps positioned accurately. As soon as you plug in your phone for the first time the software will start downloading and once downloaded your device will be ready to use. As soon as the VR launched or the software you download opens up it will provide you with a complete set of options for starting your VR experience, you will be guided through the process of using track pad and then will be provided with the options of choosing your Gear VR experience. Numerous applications can be directly downloaded through the VR interface, though this will lead to increased battery utilization, and heating up of the device. As the applications are relatively small, we would recommend downloading the application separately. The headset is pretty simple to operate, and all you need to do is pair the Bluetooth controller and use the buttons from there, or you can utilize the buttons present on the headset. Most of the applications and games are launched in a similar way, therefore, it shouldn’t be a problem. What All Can You do? The first thing that you should try is the Oculus video, which provides a great experience in which you can sit and watch movies. The display is a little fuzzy but works fine with the devices such as Samsung S6. Settings can be changed with an easy flick of touchpad, and you can change your environments to living room, cinema hall etc. The device also offers you a 360 video experience where you can watch all your Facebook videos or Netflix shows on a large cinematic screen. This may sound a bit weird but is a great feature to try. Other than these experiences, you can try out numerous Games such as Gunjack where you need to control a ship and shoot down the enemy pilots. This is one thing that we truly enjoyed. Apart from this, there are plenty of other games such as Temple Run, Archer E-VR, etc. which would keep you engaged for hours. So coming to the reality, we would say that in order to experience all these things you need a Samsung Gear VR, which can only be utilised with high-end smartphones of Samsung. This is typically one of the major limitations of this device. So in case you are buying a Samsung Note 5 or S6 solely for this device then that makes no sense. In case, you already own such equipment then buying this is a good option as it isn’t too costly (considering you already can afford the phone). You can’t move despite wearing a wireless headset, sounds a bit disappointing. Also, don’t try to expect the PC level VR experience as you will be disappointed. So this device is a great experience, however, in coming years or months, a lot can be improved in the same.